What is a Horse / Equestrian Park? A horse/equestrian park is a large acreage facility primarily used for horse events. "Horse" parks are typically owned and managed by county agencies. "Equestrian" parks are typically privately owned and operated. These facilities are designed to be used for recreational purposes and to attract regional, national, and international competitions. The synergy of a horse/equestrian park comes from the ability to offer many amenities in one location. 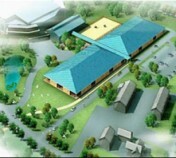 A major facility needs to be able host more than one competition at a time and to attract regional and national shows. 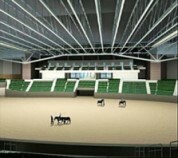 This capability would attract a variety of equestrians and spectators to the facility. To accommodate stabling, many horse parks have over 500 stalls, some have over 1,000. To attract and host large multiple day shows, a significant amount of acreage is needed. 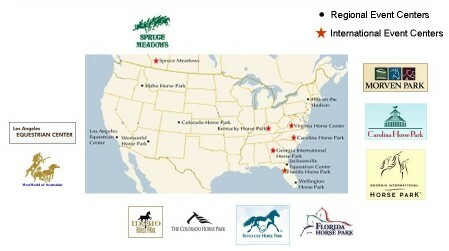 International horse parks are currently located in the Eastern U.S. in Virginia, Carolina, Georgia (1,400 acres and host of the 1996 Equestrian Olympics), Florida (500 acres), and Kentucky (1,400 acres and host of the 2010 World Equestrian Games). 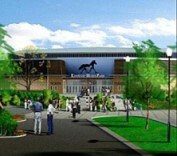 Spruce Meadows (400 acres) in Calgary is Canada's major international horse park. Regional horse parks in the Western United Stated include the L.A. Equestrian Center and West World in Scottsdale, in the North East the Idaho Horse Park, and in the Mid West the Colorado Horse Park. The primary purpose of CEPEC is to provide the public with a world class equestrian sports complex that can offer a wide range of equine activities and services which are educational, competitive, entertaining, and recreational. These will include horse shows, classes, clinics, seminars, conferences, demonstrations, programs for the disabled, cross country events, polo, dressage, cutting, reining, vaulting, gymkana, driving, trail riding, and hiking. CEPEC's goal is to become the locale for prestigious national and international level equine competitions and have the ability to host international equestrian events such as those in the Summer Olympics and the World Equestrian Games. A substantial amount of land is needed for CEPEC's facilities, including arenas, polo fields, driving and eventing courses, parking, coliseum, veterinary hospital, conference and education centers, museum, riding and hiking trails, and camp ground. 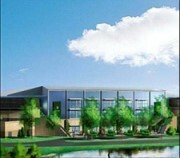 The amount of land planned for the CEPEC complex is approximately 300 acres. Web site designed by Wanda Smith and last modified on: 2/18/19.